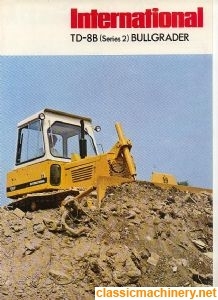 Topic: Anyone identify this Dozer of mine. Re: Anyone identify this Dozer of mine. Success...I got the info via Minnpar. I was hoping to get the info quickly...just need a few pages. There were varied tooth counts between the 2244 & the 200 gears...just trying to work out how many pinion/bullgear variations there were. I have the 2244 book,but need to compare the two.